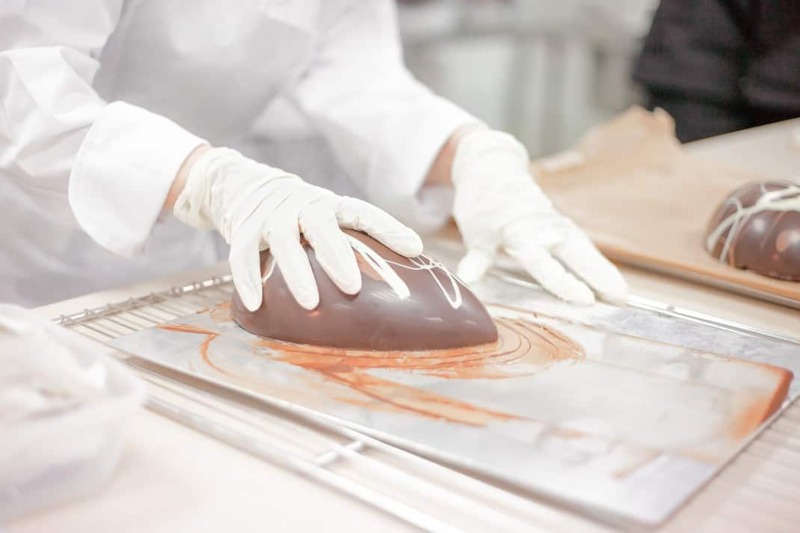 The chef Alain Ducasse offers you exclusive Easter creations, like design hens or sophisticated chocolate eggs. Everything for a gourmet Easter Sunday! Pierre Marcolini is a Belgian chocolatier. He makes luxurious chocolates with a touch of humour. Get your cute little Easter rabbit! Most popular among French people chef Cyril Lignac just opened his new chocolate shop. No chocolate candies here: mostly modern but simple creations. Go there to buy your Easter chocolate or even to have a nice coffee break. Among other extraordinary creation, you’ll find delicious Easter chocolates. Patrick Roger creates beautiful chocolates all along the year, but try the praline-coated eggshells and the selection of chocolate chickens that are exclusively made for Easter.